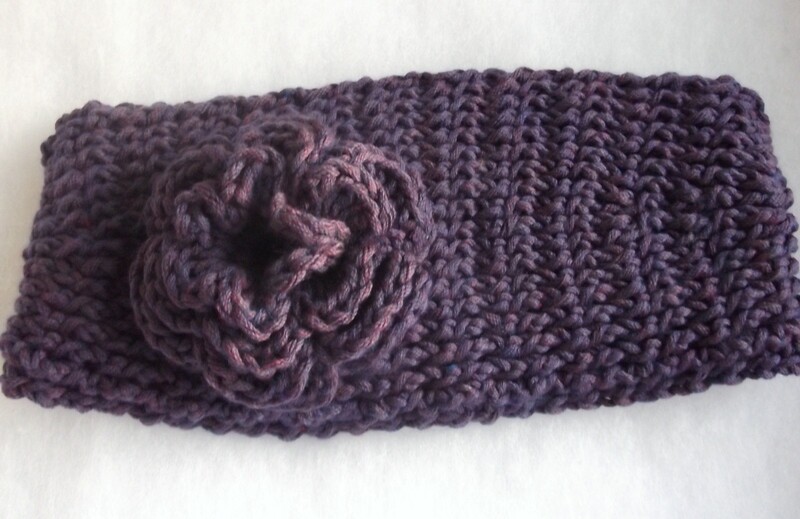 A couple of weeks ago, a friend sent me a photo of a really cute, knitted headband/ear warmer embellished with a flower and asked me if I would be able to make something like it for her daughter. 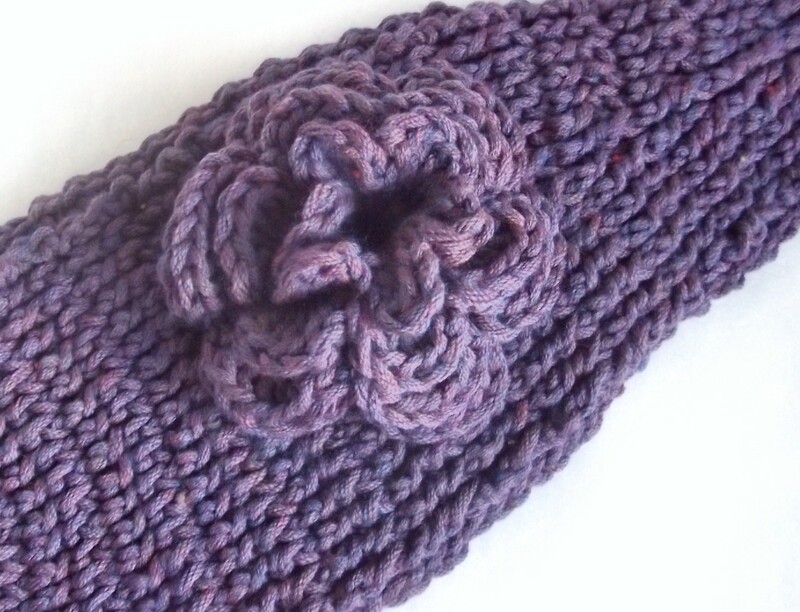 I had never seen one before, but once I started researching on Google, I discovered these flower ear warmers are a very trendy item! I can't knit. 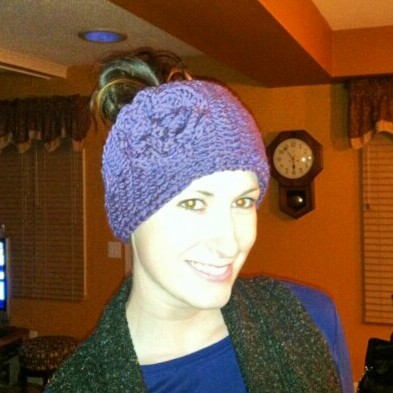 I only crochet, but I was sure I could make something with a very similar look to the photo she emailed me. So, I took on the project and it was a lot of fun! Today, I thought I would share my results. 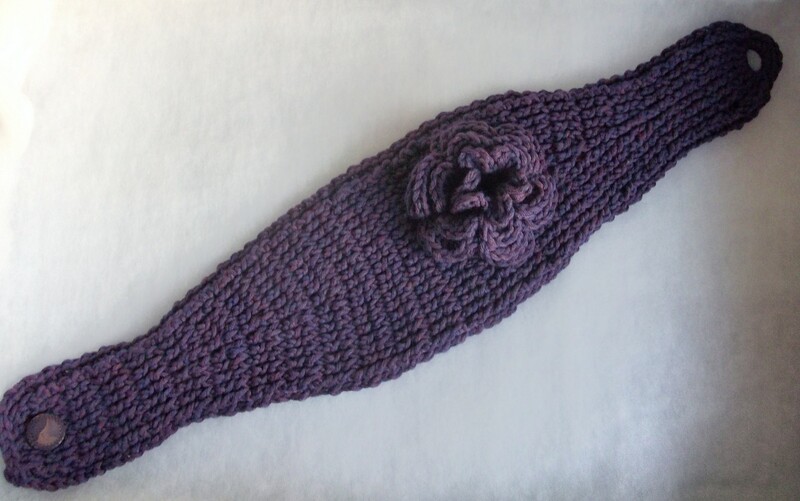 My friend's daughter wanted her headband done in a deep purple shade. 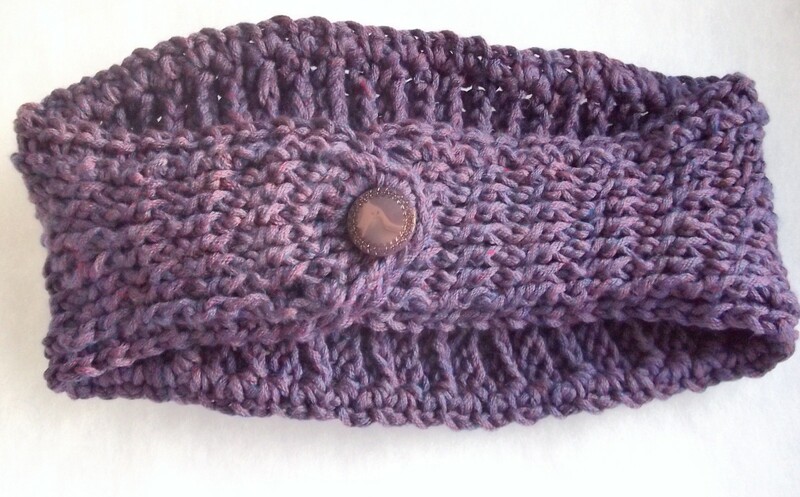 I sent her photos of several potential yarn choices and she chose Berroco Comfort Heather Yarn in Boysenberry Heather. Before I made her ear warmer, I thought I should take a trial run at it. 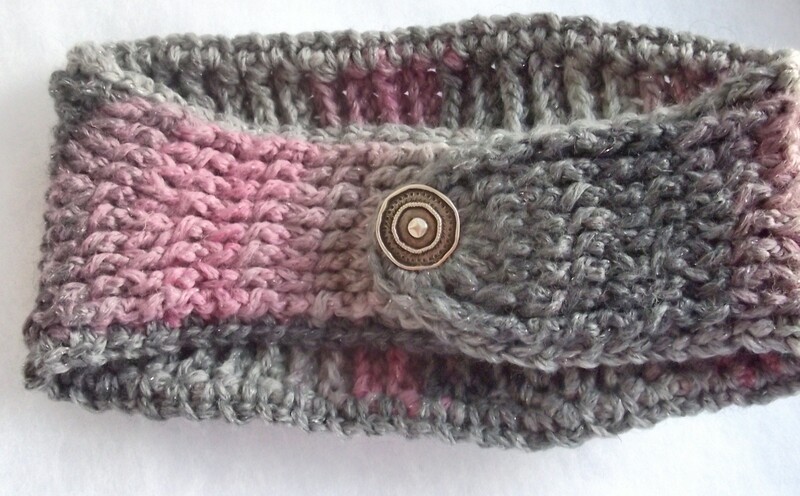 I had some extra worsted weight yarn that I had not dedicated to a project. 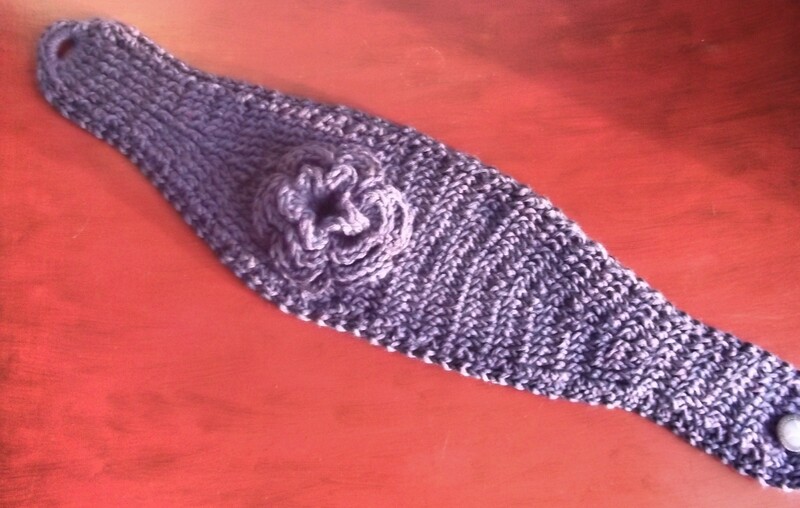 Through Etsy, I found a cute pattern by RoseDew for a knit-look, crocheted flower ear warmer and I used that pattern, with some minor alterations, to make the headband. 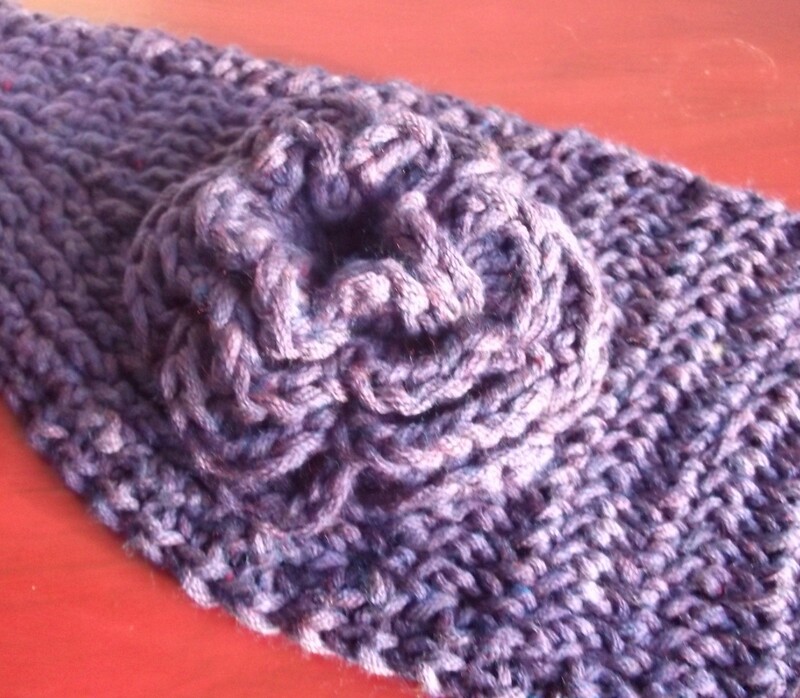 Rather than an Irish rose, as shown on the pattern, I crocheted a Chrysanthemum for my sample ear warmer. I was so happy with the way it turned out that I decided to keep this one for myself! It looks great with my plummy purple winter coat! 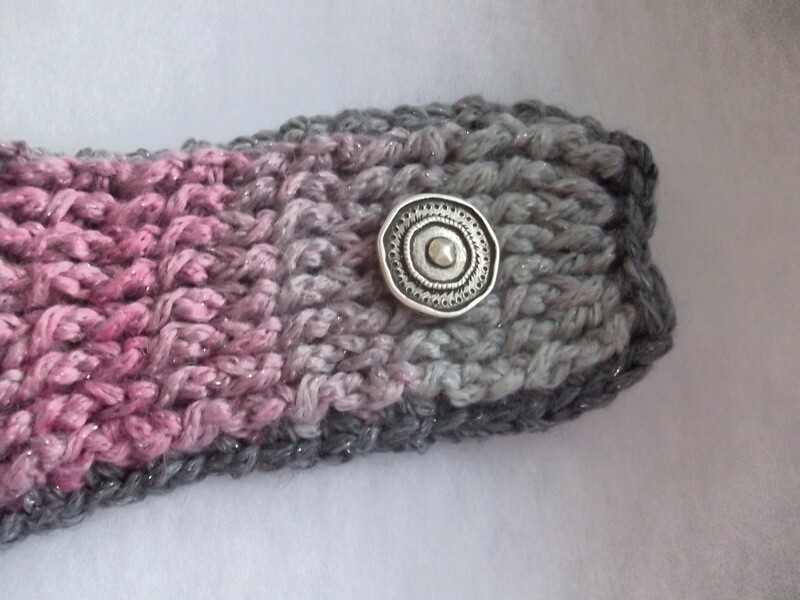 Now I was ready to make the headband for my friend's daughter. She sent me her head measurement and she wanted the Irish rose-type flower. I also gave her several different button choices. It turned out really cute and she was very happy with it! 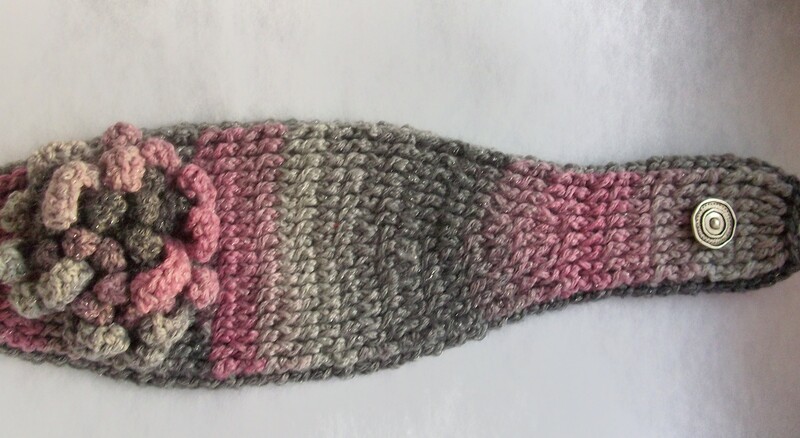 Now my friend has hired me to make one for her niece, as a birthday gift. I may have a new career going here! 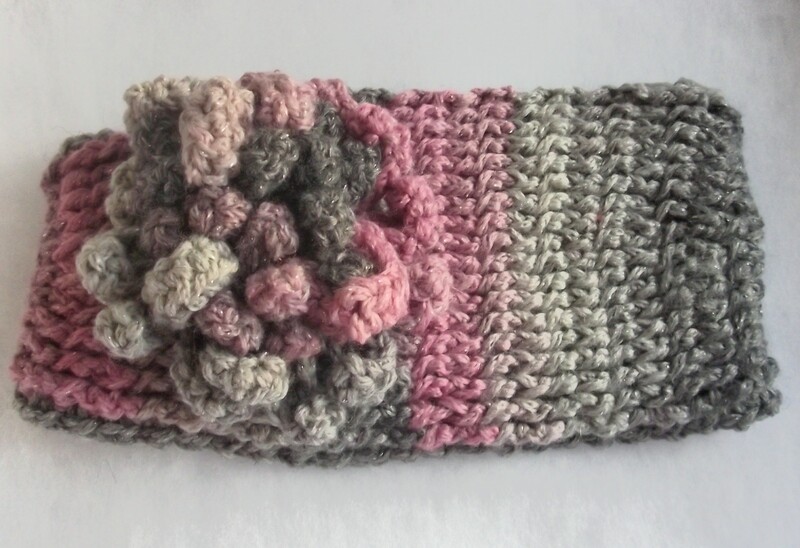 Leave me a comment and let me know if you would like to see some of the flower ear warmers in my Art Fire and Etsy stores.